ScottishPower has recognised Pier PR & Marketing as one of the company’s leading SME suppliers at a special event in the energy company’s new HQ in Glasgow (9th November). Pier is a strategic communications agency based in Felixstowe, working with a range of clients in the renewable energy, business-to-business, consumer, food and drink, marine and not-for-profit sectors. They have been supporting ScottishPower Renewables’ work on the East Anglia ONE offshore windfarm for over two years. At the awards evening, ScottishPower revealed that it has placed around £5 billion worth of contracts in the last two years as part of its largest ever investment phase, supporting more than 80,000 jobs across the company’s supply chain. In total, contracts have been placed with more than 3,500 suppliers. Keith Anderson, ScottishPower’s Chief Corporate Officer, said: “To deliver some of our most ambitious projects ever, we are working with a wide range of specialist companies, and supporting tens of thousands of jobs. Pier has provided invaluable support to our East Anglia ONE project, displaying a wealth of creativity and hard work to help keep communities and stakeholders informed about our single largest investment scheme currently underway in the UK. We are delighted to recognise Pier for all of their excellent work. 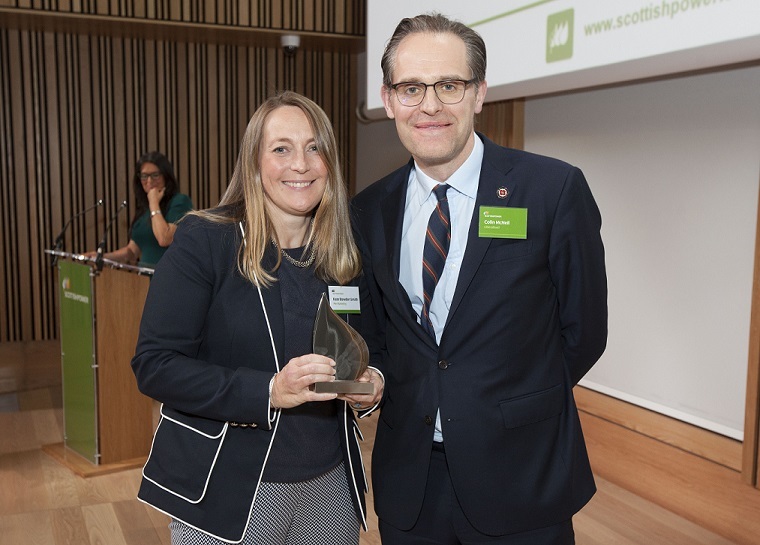 ScottishPower gave out 16 special recognition awards in total to the companies and workers who have been helping to deliver the variety of upgrades and improvements across the UK.